We recently partnered with Tina Harpold of Tina Harpold Photography to give her brand a makeover. Her business has evolved as she’s grown as a photographer – and her look needed to reflect that. 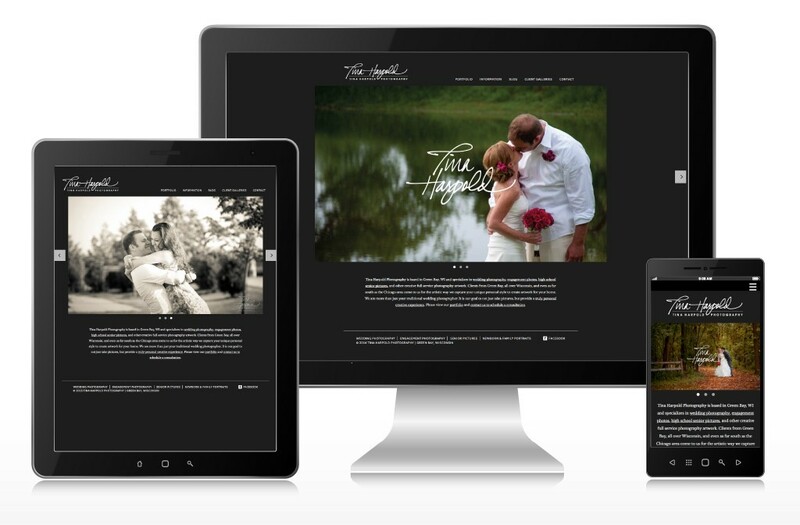 She also needed a website to generate leads and help market her business – offering video, information on her services, a contact form for leads, and portfolios featuring her wedding, engagement, senior, family and newborn photography. We redesigned Tina’s logo to be more modern and sophisticated. Her website was also designed to follow her brand, and optimized for search engines. This look was carried on to her photo sharing account, offering her clients a seamless experience for viewing and ordering photos from their sessions. Since her website was developed to be responsive, the pages of her site adapt to fit the screen size of desktop computers, laptops, tablets, and smart phones – offering the best possible viewing experience no matter the screen size. © 2006-2019 Strawberry Fields Design, Inc. All Rights Reserved.